From amazing animals to rockin’ robots, we make science fun and engaging with hands-on activities and learning adventures! Camps that are three hours or longer have a snack time. Please provide a nut-free snack for your child. For camps that show FULL, email camps@greensboroscience.org to be added to the waiting list, as spaces do open throughout the summer. Include your name and best contact number. Already registered? 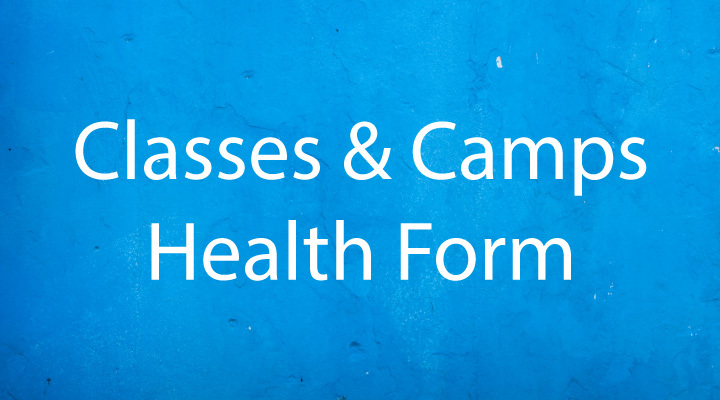 Complete our Classes & Camps Health Form and bring it with you on your first day of camp! Registration is online only. Register according to your child’s age by start of camp. New Opportunity for Rising 9th - 12th Graders! Rising 9th - 12th graders are invited to join us for a week of field-based study designed specifically for teens! If you're a rising 9th - 12th grade student interested in a career in ecology, biology, chemistry, or conservation, we've got the perfect opportunity for you! Grab your waders and gloves and join us for a week-long camp where we'll study the animals and water chemistry that tell us about our ecosystems' health! Using scientific water chemistry techniques and various biological sampling methods -- including minnow traps, emergence traps, dip nets, and leaf litter kits -- we'll study the biological and chemical makeup of our waterways. We'll apply the techniques we learn to a variety of habitats ranging from sites right here at the Greensboro Science Center to locations across the Piedmont! 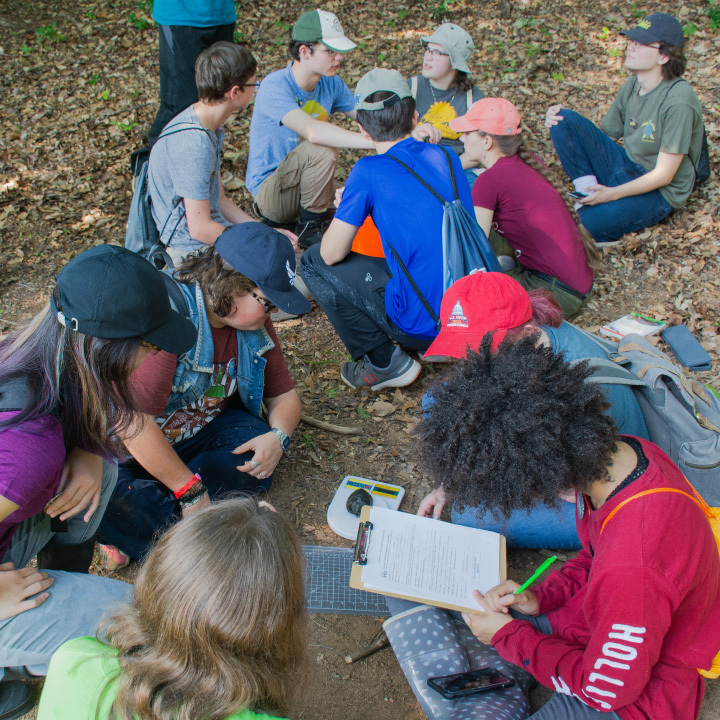 Not only will participants gain knowledge of science and research techniques they can use in their science careers, but the data collected will also contribute to a long-term study of ecosystem health at the GSC! To participate, students must submit a completed application. The week’s fee is $125, and scholarships are available. June 10 - 14 AM EC1: Me, Myself and I A1: Animal Mysteries B1: Engineer It C1: That’s a Croc! PM A16: Motion Commotion B16: Booms and Blastoffs! August 5 - 9 AM EC17: Me, Myself and I A17: Animal Mysteries B17: Engineer It C17: That’s a Croc! Look at yourself from the inside out. Take an adventure through your body and learn all about the parts that make YOU! Investigate everything from your five senses to the sound of your own heart. Let’s ride the wave of water exploration, focusing on the amazing gifts our rivers, lakes, wetlands, ponds and oceans provide for us. We’ll learn how to take care of our waters by interacting with resident aquatic friends at the Science Center. Come dressed for watery fun. Spend the week on the farm at the Greensboro Science Center. Make your own butter, dye wool and lend a hand in the barnyard. There are enough “chores” for everyone as we explore life on the farm. Bubble, fizz, POP! Everyone is a scientist in this camp. Learn about the different tools used for mixing and changing chemicals. Make reactions that are colorful, slimy and explosively over the top while discovering how and why they happen. What animals live in your backyard? Why do animals live where they live? From listening to sounds to exploring a variety of habitats, we’ll learn how animals are suited for their environments and how to discover what animals live in our own backyards. Chemistry is everywhere! Learn how chemicals react to make something new as you create cool, slimy polymers. Observe how pigments separate to create a burst of color. Chemistry is not just fun - it’s chaotic! The sky is the limit as we investigate the science of motion. Test out Newton’s Laws and try to defy gravity. Design contraptions that soar through the air, speed through water and zoom across the land. On your mark, get set, GO! What makes cabbage and old eggs smell so bad? Why does soda make a penny shiny? Discover which combinations create explosions or slime and how we use this in everyday life. Part chemistry, part physical science and totally fun, you’ll gain a new appreciation for objects around your house. Discover dirt! It’s a place to sink our toes, where plants grow and treasures hide. Without dirt, we would have no lunch. Explore the fascinating world beneath our feet as we go on a micro-hike, make a tiny habitat on a penny and work in the Science Center garden. Wear sturdy sneakers and sunscreen as we investigate the woods, water and open spaces of the Science Center campus. Each day, we’ll look at a different part of our Piedmont backyard, both investigating nature outside and meeting some native animals in class. This camp is for the birds! You’ll spend time inside and out, learning all about birds. Create a bird journal and listen for calls. Meet an owl, dissect an owl pellet and meet other Science Center feathered friends. Think it, build it, test it. If creativity, experimentation and problem-solving get you going, then this camp is for you. Spend a week exploring the fascinating world of engineering. We’ll challenge your design and construction skills as you come up with solutions to science stumpers! Scales and slime, feathers and fur – learn about all kinds of animals this week! From animal visitors to trips to our zoo and the habitats around us, you’ll combine natural history with arts and crafts to bring home memories of your wild week. Experiment with things that go BOOM, from foaming chemicals to popping balloons. Make Bernoulli flying machines with paper, water, straws, balls, and balloons. Create rockets and an airplane to take home to share science with your family. Set out on a fantastic adventure to uncover wonders of the animal kingdom! Play animal games, create wild crafts and get up-close to your favorite creatures, both in the zoo and on nature hikes. From feathers and fur to scales and slime, you’re going to have a WILD time becoming an animal expert. Celebrate the holiday this week with science highlights. You’ll hang out with animals, compete in the famous egg-drop Olympics, work indoors and out, and try your hand at chemistry. During the week we’ll also take in an OmniSphere Theater show and meet Indiana Bones. Lunch supervision is included. Bring a bag lunch, drink and snack each day. From the kitchen to the laboratory, reactions happen all around us! Join us as we try to solve different CHEM-mysteries. Make soda explode, experiment with slime, and explore the differences between chemical and physical reactions. Girls rule this week in an all-girl team of scientists. Sample different areas of science, from animals and plants to volts and jolts, and from fun physics to crazy chemistry. Try a different area of science each day! If herpetology is your thing…this is the camp for you! From constrictors to crocodiles, we’ll take an in-depth look at what makes REPTILES ROCK! Meet our reptile keepers and learn fabulous facts about our resident cold-blooded creatures. Fear is not a factor here…reptiles are our friends. With much of our world covered in water, join us on an adventure to explore the life inside it. Come on this marine biology tour and learn about the efforts scientists are making to keep our oceans healthy. Experiment with water quality testing, dissect marine animals and take a behind-the-scenes tour of the Wiseman Aquarium. Unleash your inner scientist and take a journey through the human body. Get stethoscopes and gloves ready for this adventure to discover what makes you unique. Explore your different body systems and discover how your bones, muscles and organs work together inside your body. Watch science in action in a chemical reaction. Experiment with the properties of matter as you test reactants to uncover how chemical reactions work. Discover the difference between chemical and physical reactions. Get ready to have a messy chemical meltdown! Connect earth science with astronomy as we look at rocks, minerals and geologic processes. Then move to what we know outside our planet and look at planet conditions and stars. View the night skies in our OmniSphere and even hike the galaxy in a week that is out of this world! Can’t pick your favorite science topic? This is the camp for you! Be a chemist for a day, have fun with physics and enjoy awesome astronomy! We’ll take some time exploring nature in nearby Country Park. You will go behind-¬the-¬scenes of the Science Center to learn about animal care as you sample and experiment with a variety of science topics. Lunch supervision is included. Bring a bag lunch, drink and snack each day. Join us for a variety of experiences for the true animal lover. Find out how we care for the animals in Animal Discovery and Wiseman Aquarium. We’ll lend a hand in the zoo and aquarium each day, learn about the care of all kinds of animals, and meet animal professionals as they share their experiences with us. Dress for outdoor work; closed-toe shoes are a must. Lunch supervision is included; bring a bag lunch, drink and snack each day. If you have taken this popular class in a previous summer, please allow others to sign up this summer. We are introducing our youngest engineers to building challenges, teamwork and creative innovation with our favorite DUPLO® and standard LEGO® building blocks. Classes have both directed assignments and creative free-building time to apply lessons with simple machines. Beginner Builders also learn cooperatively through buddy-building missions. Rev up the engines and let’s go! Beginner Builders will have fun learning about planes and race cars by building models and putting together the simple machines that make up these vehicles. There will be a friendly racing competition and buddy-building with their new friends. NEW this summer! Our Beginner Builders will be pushing the limits and learning some brand new material. They will be building, drawing, and learning about robots, while doing fun beginner coding activities. Superman, Spiderman, Wonder Woman. Choose your favorite superhero and design their secret hideouts and cool super-vehicles using bricks. Learn the basics of stop motion animation and put together a short film. Do you like animals and LEGO® building? If so, this is the camp for you. We’ll learn about the animal kingdom through fun activities. Using the LEGO® Education WeDo 1.0 and 2.0, an icon-based introduction to robotics that uses motors and sensors, campers will build and program fun robotic animals and visit with our zoo animals. Classes have both directed assignments and free-building time. Campers also learn about teamwork through buddy-building and missions. Rookie Engineers will explore the language of code with fun offline activities, then use their knowledge to program cool robots. We will take a break from coding to explore the Greensboro Science Center. Join us on a magical adventure as we use LEGO® Mindstorm® EV3 sets to build imaginary creatures and program them to move. Intermediate Engineers will learn about teamwork and will work with a partner to brainstorm how to make their fantastic beast come to life. Intermediate Engineers will build autonomous robots using LEGO® Mindstorm® EV3 bricks, learn programming, and tackle moving through a mat of missions with teammates. Campers will learn about FIRST® core values and work on teamwork and cooperation. They will also have opportunities to explore the Greensboro Science Center. If your student will be 10 years old by Sept. 1, 2019 this will count as the prerequisite for applying to one of the FIRST® LEGO® League teams at the GSC. This camp is all about learning the basics of circuits and coding language through icon-based programming. We will make things spin and light up through the steps you choose. Campers will also take a break from working to enjoy some outdoor adventures. Our Intermediate Engineers will finish off the summer learning about architecture. They will design and construct a room or building to include interior elements that tell a story about the mini-figures that use it. Rookie Robotics build and program a fully autonomous robot using the LEGO® Mindstorm® EV3. Campers are encouraged to continue developing their building skills using sensors and complex designs. (The challenge depth is different for this older group than for our younger Rookies.) This camp is a prerequisite for GSC FIRST® LEGO® League (FLL) teams in the fall. See our website for more information about joining an FLL team. Please choose one session per child; there are no prerequisites for camps. No early morning sprints or push-ups in this camp. Students will learn the basics of coding using SCRATCH to make a video game or program a robot to move. We’ll also work with circuits to make things light up. Campers will take a break from the computers to enjoy outdoor adventures and meet animals. Back by popular demand! Working with a partner, campers will create and program an autonomous Sumo bot using an NXT brick. Compete against others by programming your bot to find and push your competitor's robot out of the ring. This is a great combination of design and sensor programming to challenge our rookie robotics! Rookie Robotics soar to new heights and designs in this new camp to learn about architecture and how buildings are constructed and designed. Design using LEGO® Digital Designer and build a room or building to include interior elements that tell a story about the mini-figures that use it. Get ready for an out-of-this-world experience as Robotic Techs build and program fully autonomous robots using the LEGO® Mindstorm® EV3 brick. Campers are encouraged to continue developing their building skills using sensors and complex designs. The challenge depth is different for this older group than for our younger Rookies. This camp is a prerequisite for GSC FIRST® LEGO® League (FLL) teams in the fall. See our website for more information about joining an FLL team. Please choose one session per child; there are no prerequisites for these camps. Campers will learn the basics of coding using SCRATCH to make a video game or program a robot to move. We will also work with circuits to make things light up. Programmers will take a break from their computers to enjoy outdoor adventures and meet Greensboro Science Center animals. Back by popular demand! Working with a partner, campers will create and program an autonomous Sumo bot using an NXT brick. Compete against others by programming your bot to find and push your competitor's robot out of the ring. This is a great combination of design and sensor programming to challenge our Robo Techs! Lunch supervision is available to Summer Science Camp participants and can be added to any morning camp. It is necessary to add lunch if your child has both a morning and an afternoon camp. Please be sure that your child brings a nut-free bag lunch that does not need to be refrigerated. Children must keep up with their own lunches, so be sure to label your child’s container. Cold beverages are available from the lunchroom vending machines. Lunch Bunch is supervised by GSC staff. Children will be taken to their afternoon sessions or readied for pickup at the car line afterwards. Register for Lunch Bunch as an option with morning camps. Lunch Bunch is offered the first and last weeks of camp. Lunch Bunch is included for the 9am - 3 pm camps. Extended Day sessions are a relaxing way to end a day of exciting science adventure. We’ll have a supervised room and provide museum/zoo explorations, games, books, and our favorite science movies during this unstructured period. Extended Days are offered as a service to meet your family’s busy schedules. Pick up your child any time before 4:30 p.m. Register for Extended Day as an option with afternoon camps. Extended Day is not offered the first nor last week of camps. Questions or comments? Email camps@greensboroscience.org or call 336-288-3769 x1389. Is my membership current? What's my ID number? Check your Greensboro Science Center membership card and look for the expiration date printed on it. Your member number/ID is printed under the bar code. We cannot process a new/renewed membership at time of camp registration. If you need a new/renewed membership you can click here or stop by our information desk. How do I register my grandkids? The camper and adult guardian who is the contact must be a GSC member. A grandparent can register a grandchild but the adult bringing the child to camp must also be a GSC member to gain access to the GSC. What can I expect from online registration? The registration button will not go live until the prescribed time. If you come to the page early, you must refresh the page to see it. Multiple registrants are placed in a queue and transactions occur one at a time. You will be notified when it is your turn to complete the registration. You are not guaranteed classes until you complete the transaction. Why can't I register for a class of the same name twice? We run repeats of most camp sessions and LEGO® camps. We want to ensure as many children as possible are allowed the opportunity to learn about the subject of their choice. Plus, if you register twice, you have already learned the material! I'm a member of another AZA/ASTC institution. Can I get the GSC member rate? If you have a reciprocal membership from another institution you cannot register as a member for programs here. Do I register my child by age or grade level? Participants should register according to their age before the class begins. Your child should be the required age by the first day of the camp. While we do not place younger students in older classes, we sometimes make exceptions and place older students in younger classes; call Courtenay Vass at 336-288-3769 ext. 1389 if you have questions. The camp I want is full. What do I do? If any camp you’d like to register for is full or you’d like a different LEGO® session, please consider being placed on a waiting list. Send an email to camps@greensboroscience.org with the subject line “waiting list.” Include the camp(s) you’d like, name and age (at camp date) of your child, your name and your daytime phone number(s). Children are placed on the list in the order in which they are received. We get openings all summer as plans change, so waiting lists do work! How do I register for more classes? Use your user ID to check your classes at any time and add more to your account. If you do not remember your user ID, you can still add classes as a new user just as easily and effectively. How do I put together full days' worth of science camp for a week? Camps are offered as morning sessions (9am - 12pm) or afternoon sessions (1 - 3pm; some LEGO® camps 1 - 4pm). Select a morning and afternoon for a full day. If you choose morning and afternoon sessions, also register for lunch supervision (offered as an add-on as you register). Additionally, we offer extended day registration (3 - 4:30pm) as an add-on to afternoon camps. What time should we arrive for camp? Our summer staff signs in all campers at an outdoor parking lane, just past our main building. We are generally in place 15 minutes before camp starts. Alternately, students may be walked in and dropped off at their classrooms 5 minutes prior to class. You will need to show your membership card each time you enter the GSC. Children may not enter or exit the building without a parent, guardian or GSC staff member. Our summer instructor staff is comprised of certified teachers from Guilford County and surrounding communities, as well as environmental education professionals. Our LEGO® camps also have our techno-whiz college students as instructors under the guidance of our Robotics Coordinator. Paid assistants and our summer “teen corps” volunteers lend a hand in classes. Clothing should be comfortable for indoor and outdoor, hands-on activities. Closed-toe shoes and socks are suggested (required for Animal Care Camp and field courses). No flip-flops or roller sneakers allowed. Please leave all electronics at home. Label snacks and lunches. A water bottle is recommended. Should I send a snack? All morning camps take a snack break. Only 3 hour LEGO® afternoon camps take a snack break. Please send a nut-free snack and drink (water is great!). Lunch Bunch students will need to bring a (non-refrigerated) bag lunch and drink. How do you handle behavior problems? Discipline issues are rare, but do occur. Initially, instructors will discuss the behavior with the camper. If the behavior persists, the camper will spend “quiet time” in the Education Department office. Behavior issues will be brought to the attention of the parent in order to work together toward an appropriate solution. My child takes daily medication/has allergies. What is your medicine/first aid policy? Our camp staff does not administer medication. Children who carry a self-administered inhaler or Epi-Pen for emergencies should note this on their health form. If your child has a medical issue while at camp, our Red Cross First Aid certified staff will treat basic needs (band-aids, ice packs). All medical issues will be brought to the attention of the parent or guardian listed on your health form. We are peanut-free in our classes but do use food in many classes. Please bring allergy information on your health form at the start of class for your instructor. Your form will ask you for a credit card (Visa, MasterCard). This form of payment is secure. What if I have to drop out of a camp? To switch camps there is a $5 administrative fee per camp. To cancel your registration less than 2 weeks in advance there is no refund unless we can fill the spot from a waiting list. The GSC reserves the right to cancel a class due to insufficient enrollment. In this event, you will receive a full refund or option to register for another class. To switch/cancel a class call the Education Office at 288-3769 x1389. Yes. Limited financial assistance is available and requires a separate application. Contact the Camp Director at 288-3769 ext. 1389 for details.